We help people sell real estate. Deciding when and how to sell a home is not easy, and it’s not something many people do more than once. That’s why experienced professional advice is important before you make any important decisions. I began as a real estate investor and have been licensed since 2006, so I am familiar with all that is needed. I am backed by an organization with the legal, commercial and marketing skills to make sure you get the best value when you decide that it is time to sell your home or business. I work hard for my clients – as I have for myself in my varied roles as a nurse, businessman, professional athlete, private pilot and community volunteer. All have required the positive attitude, focus on quality, attention to detail and commitment to service that I can bring to getting you the best return. If you are considering buying or selling your home or business, I will be happy to provide an initial consultation and valuation free and without obligation. I obtained my real estate license in 1992, through the Professional Institute of Real Estate, and began my real estate career with Dan Schwartz Realty. In July of 1998, I joined ReMax Fine Properties in Scottsdale, AZ. 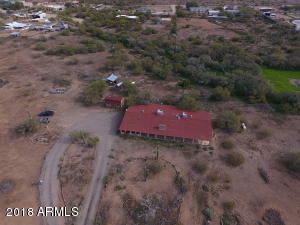 This same year, I obtained my Real Estate Broker’s license through the Arizona School of Real Estate and Business. Since that time, I have assumed several real estate related positions. For approximately 10 years, I owned and operated Ashley Fine Properties. In 2009, I joined Ogden & Company as their designated broker. This past April, I became FDR Real Estate’s managing broker. FDR Real Estate is located in Tempe, AZ, just steps away from ASU’s Tempe campus! FDR Real Estate offers comprehensive real estate services both in the residential and commercial sector. Our firm also provides extensive property management services. Joining FDR Real Estate will allow me to expand my clientele in the east valley, and specifically the Tempe area. I strongly believe that a successful business is built by genuinely and honestly serving others. •My goal is to provide outstanding service to YOU before, during, and after the sale. •My promise is to negotiate the best price, terms, and conditions—on YOUR behalf. •Striving to look out for YOUR best interest will be top priority. •Open communication and collaboration is essential to any successful business transaction, therefore I will strive to openly communicate and collaborate with all parties involved. •My ultimate goal is to not just meet your expectations, but to exceed them! I am an accomplished IT consultant in the Talent Management industry, where I observe the world through both technical and creative eyes. My position requires perseverance, tenacity, negotiation, and communication skills as I work with a diverse, high-profile and international customer base. I bring those same skills and talents to an equally broad spectrum of discriminating real estate clients. As a seasoned black belt martial artist, I’ve learned to be a focused listener, able advisor and fierce yet fair advocate. I’m known for my intuition and diligence while employing encouragement and genuine concern as I create a positive experience for both sides in any property transaction. My business approach is direct and successful: I listen to my clients’ needs and match them to the right property, ensuring an honest and efficient transaction. My mantra is, “be in touch and stay in touch,” and it has become the key to my long-term relationships with my clients; that same philosophy permeates with my philanthropic life. I volunteer as a pilot for the Civil Air Patrol, assisting with search and rescue missions and I also assist The Flying Samaritans, helping with efforts in a medical clinic in a small village in Mexico. I am married to a very understanding wife and we have 2 great dogs. Amanda Rosenberg is originally from London, England and moved to Arizona to work as an intensive care nurse in 1999. After working as a registered nurse for 26 years, Amanda obtained her real estate license in 2016. Rumor has it that nurses make the best Realtors because they truly care for their clients. Amanda’s kindness and compassion has really accelerated her new real estate career. Amanda currently lives in the East Valley with her husband, two daughters and her “baby boy, Rex,” an overgrown German Shepherd. I am a native Arizonan from an Arizona Pioneer Family. I attended grade and high schools in Phoenix and graduated with a Bachelor of Science in Business degree from Arizona State University. 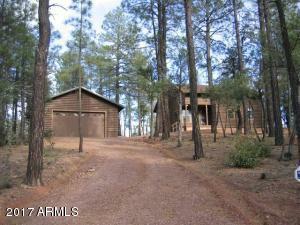 I have been involved in Arizona Real Estate since the early seventies as both an investor and an active agent. I particularly enjoy the negotiation part of a transaction. I currently live in Mesa and am involved in Rotary and enjoy traveling and hiking. I have no children and am engaged to Pam Cohen. 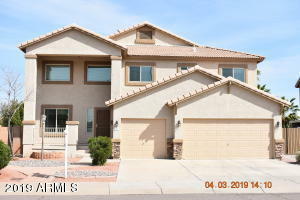 I am an Arizona native who has been building lasting relationships by providing a top notch service in the residential, commercial and land real estate markets since 2005. I am dedicated to doing this job in a way that leads to the very best outcome for my clients. I always go above and beyond the call of duty to insure that my clients are completely satisfied with my services. I look forward to the opportunity to prove this to you, and to add you to my list of happy clients! Sam is a Realtor and Certified Property Manager with 12 years’ experience in Commercial Property Management (CPM). He studied Engineering at Arizona State University and proceeded to obtain his Master’s in Business Administration (MBA) from the University of Phoenix and CPM designation through the Institute of Real Estate Management. My passion is to make a positive difference to those I meet. As a member of FDR Real Estate Team, I am honored to assist you in finding or managing your next home. I am constantly educating myself on the latest trends in the marketplace so I can find the right home for you or price your home to sell accordingly. On my app, you will find all of the information you need to buy or sell a home. If you need more information about homes in your area, please contact me today so I can provide you with the latest information. I look forward to serving you with Honesty, Integrity, and Value. Sam lives in the Southeast Valley in Queen Creek. Bay area native who moved to Arizona to attend Arizona State University in 1996. I graduated with multiple degrees in Electrical Engineering as well as an MBA. I’m happy to work with you to find a property to fit your needs. I am passionate about helping clients solve problems and reach their goals. In addition to holding my real estate license, I am a certified Project Management Professional (PMP), an active member of the Phoenix Chapter of Project Management Institute (PMI) and I hold a green belt in Lean Six Sigma methodology. I love to see a project through from start to finish and there is no greater reward than a happy client at the finish line! My skills and passion for working with people to reach their goals make me an ideal real estate agent for both buyers and sellers. I currently live in Cave Creek with my husband and two crazy dogs, all of whom keep me constantly entertained.